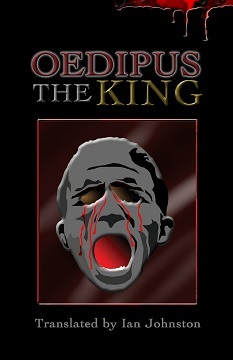 The story of Oedipus, as told by Sophocles in Oedipus the King, is famous for presenting a grim and compelling conflict between free will and fate. When Thebes is threatened by a divinely ordained plague, Oedipus, the king, a great and good man famous for his intelligence and courage, is determined to save the city. He launches his own investigation and pursues it relentlessly to its deeply ironic conclusion, an ending which brings to light the horrific secret of his own identity. Oedipus the King has long been regarded, not only as Sophocles' finest play, but also as the purest and most powerful expression of Greek tragic drama. In this new verse translation, Ian Johnston captures the compelling tension of Sophocles' drama, the intense poetic vision which has made this play justly celebrated as one of the great masterpieces of Western literature.